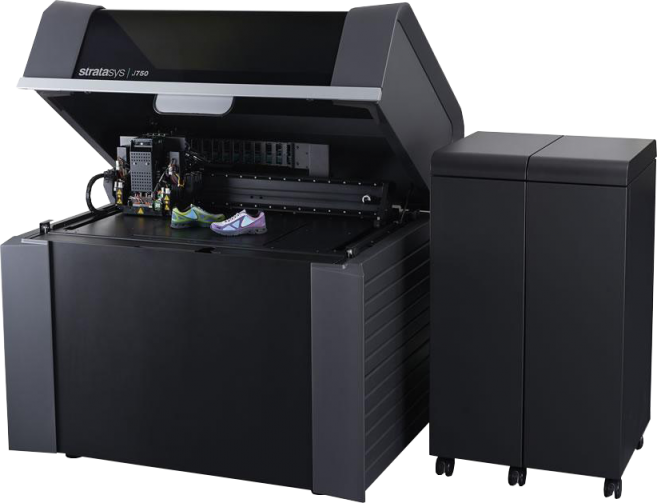 Shapeways design team will soon have access to Stratasys’ unparalleled suite of 3D printers — including their J750. This highly-advanced machine is the only multi-material printer, capable of printing up to 6 materials at a time. That means realistic color mapping, texture variability, and overall better, bolder prints! Bring it on! Lets face it, science can be confusing. Jargon-filled literature might as well be a foreign language, and — whether it be an intergalactic nebula or hemoglobin protein— many people can’t easily the visualize science-y things they read about. Scientists and communicators (and Science Communicators) rely on tools to help communicate the things we cannot see. Stratasys J750’s ability to print multiple colors at once opens doors to color shading, highlighting, and gradients. 3D printed models will take a more realistic, lifelike appearance, or be used to emphasize certain structures. For example, prints can combine transparent and colored filaments to showcase certain protein structures, or highlight anatomical parts. 3D prints can also better recreate organisms from the ocean, using hyperrealistic colors, rather than the single-color caricatures we could create in the past. The Shapeways x Stratasys collab opens doors for communicators, entrepreneurs, and consumers, alike. Joining Stratasys’ technology and engineering with Shapeways platform, it will become easier, cheaper, and faster to transform creative ideas into tangible objects. Designers and pseudo-designers can really rev up the quality of objects they sell on Shapeways’ marketplace, as well. While these two 3D printing powerhouses finalize logistics of their collaboration, printing with Stratasys’ J750 remains restricted to select Shapeways customers. Stay tuned for a full launch coming in 2019.